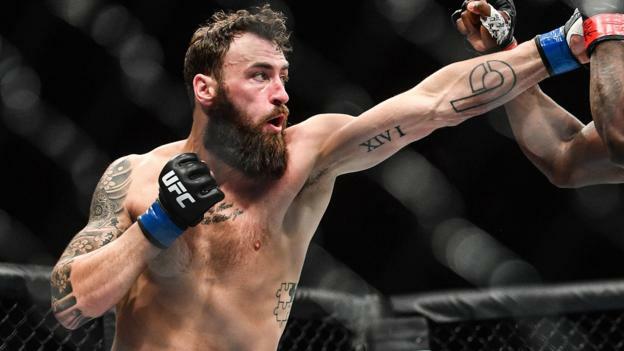 UFC Philadelphia rolls on with a light heavyweight contest between Scotland’s Paul Craig and Nigeria’s Kennedy Nzechukwu. 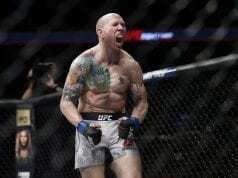 Craig (10-3) finds himself with his back against the wall going just 1-3 in his last four UFC outings. A win is likely necessary for Craig to keep his roster spot. As for Nzechukwu (6-0), the 26-year-old earned a contract on last season’s Contender Series by defeating Dennis Bryant with a head kick. He will look to make a big splash in his official debut. 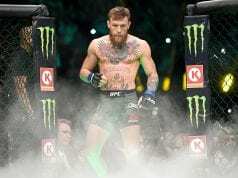 Craig rushes across the octagon and throws a leg kick. He goes high with a kick to follow. Craig looks for a single leg but Nzechukwo lands some hard elbows. Craig works through it and locks in an elbow lock. Nzechukwu powers out of it. Craig locks in another arm lock and again Nzechukwu finds a way to defend it. Craig dives for the Nigerians legs and looks for a takedown. Nzechukwu is doing a good job defending the takedown. Craig dives on an ankle and figure fours Nzechukwu’s leg. The Nigerian powers out again. Nzechukwu lands a hard left knee to Craig’s head as Craig was looking for a takedown. The round ends with both fighters in an exchange. Craig takes to the center of the cage and pumps his jab. Nzechukwu throws a head kick, Craig moves through it and dives on his legs. Nzechukwu keeps grabbing the fence to stop the takedown. Craig finally gets the fight to the ground but Nzechukwu starts to drop some hard punches and elbows on Craig. He steps off and lets Craig up to his feet. Craig throws a knee straight up the middle and clips the groin of Nzechukwu. The fight resumes and the Nigerian throws a head kick and moves forward. The fight tempo has slowed here in round two. A jab finds its place as Nzechukwu executes nicely. The bell sounds as Craig dives for a takedown. Craig comes out with a one-two. Nzechukwu throws a right hook that misses the mark. Both fighters look a bit tentative here to start. The Nigerian lands a hard knee to Craig’s abdomen. Craig dives on Nzechukwu’s legs but it’s not there. Nzechukwu pokes Craig in the eye again. This time the fight is stopped and the referee takes a point from Nzechukwu. The fight resumes. Three minutes left in the fight. Nzechukwu is pressing forward and defending Craig’s takedowns. Craig digs but Nzechukwu moves into side control and opens up some ground and pound. Craig finds his way into full guard but Nzechukwu opens up. Craig locks in a triangle, this time he gets the tap. Wow.